What do you think, Time for the Flip to flower? Hey guys I got home from work and checked on my girls and one of them looks like she has started budding already. They are on a 20/4 light schedule and I'd been seeing a ton of preflowers check out the pic. Is this just more preflowers or a sign I need to flip to 12/12. Is this an auto by any chance? It's a bagseed so there is no way of knowing 100% but I'm leaning heavily towards no the plant is 43 days old. I thought auto's start to flower earlier than that. If it's bagseed it most likely isn't an auto, and yeah autos start flowering much sooner than 43 days usually. Personally I'd flip it to 12/12. 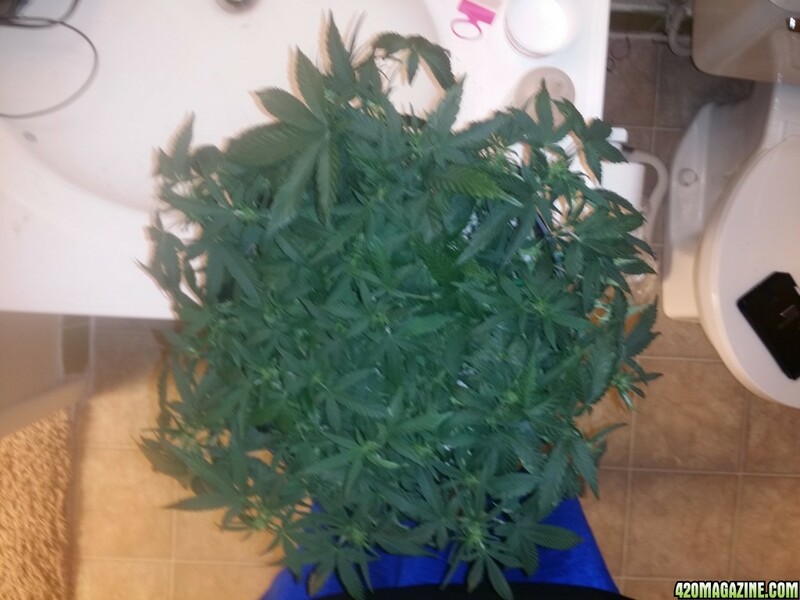 You're still going to have approximately another 8-12 weeks until she's ready for harvest. Do you have a 30x-60x scope or magnifier to view the trichomes for harvesting? 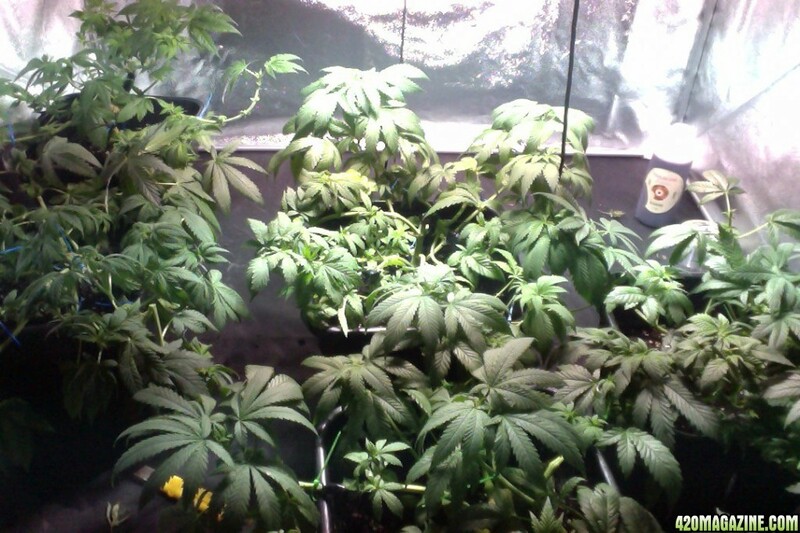 Ive managed to get the 5 plants about 2/3 of the tent, maybe wanna remove one for mothering though! Im using a 400W MH for vegging and am thinking about upgrading to a 600 hps for flower,,, although im not sure about the possible heat issues (120cmx120cmx200cm tent, passive intake, oscillating fan near canopy, 5" extraction at top of tent!). no heat issues at the minute. im in cold rainy wintertime ireland....!!! - anyone notied a major jump up in heat from 400w to 600w? Basically, i topped bout 3 wks ago, supercroped the main stem maybe 2 weeks ago, and topped/fimmed a lot again bout a week ago. some cuts better than others. the problem is some fimmed/topped sites are already showing maybe 1.5" secondary stems,,,, while other sites are not really splitting (well, slowly). ive been moving the pots around to even light distribution but what im wondering is this: if flipped to 12/12, will the not quite ready top/fim sites just go nuts and stretch out into separate colas? 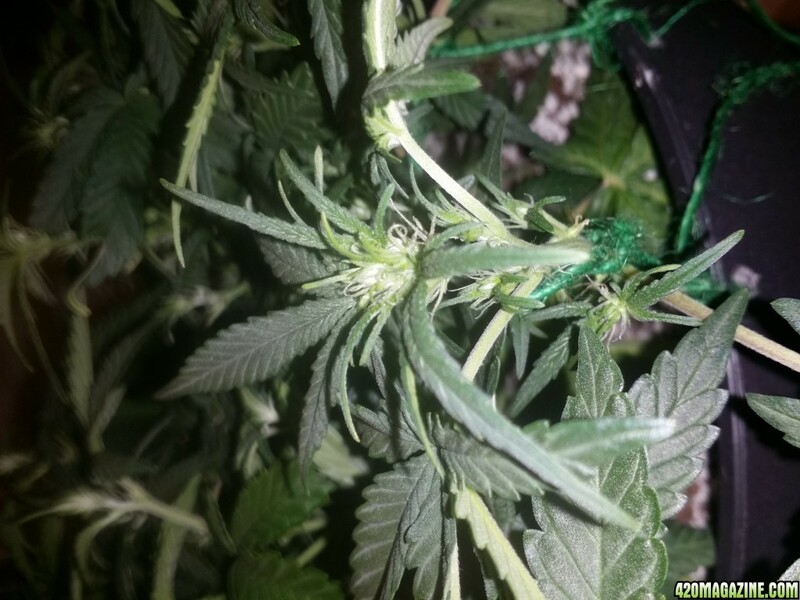 or would it be better to give it another week of 2 to let the 2 or 4 stems separate and thus produce better colas? There is no rush, just wanting to know anyone with experience of extensively topping and how long they wait afterwards to flip to bloom? This is the most impressive pic of the canopy. i say flip your girls now - fimming seems to trigger irregular growth patterns (at least that's been my experience). Waiting another couple weeks probably won't help that much. I made the move from 400W to 600W and had no heat issues whatsoever. I ended up flipping then bout the 3rd or 4th of january, and the FIM/topped sites which hadnt separated have fully gone their own way now, giving a multitude of tops! so my worries about irregular growth are alleviated - the canopy is at relatively the same level! removed all the lower spindly branches which werent getting light, which probably slowed the stretch a bit but all the tops are now showing more and more white hairs each day. theres at least 20-25 tops per plant so hopefully i get a good harvest. Problem now is humidity! was about 60% lights on, 70-80 lights off which i know is ok for vegging but need lower RH for flowering, am fearing the dreaded bud rot! there is good airflow and the extraction fan is definitely working, problem is, being winter in ireland, general RH is about the 60% mark everywhere in the house!! have invested in a 14L dehumidifier which will arrive in the next few days so hopefully that keeps the RH down. there is a load of leaf mass too which is obviously transpiring a lot of moisture into the tent but i dont really want to defoliate, would rather try to control RH first! 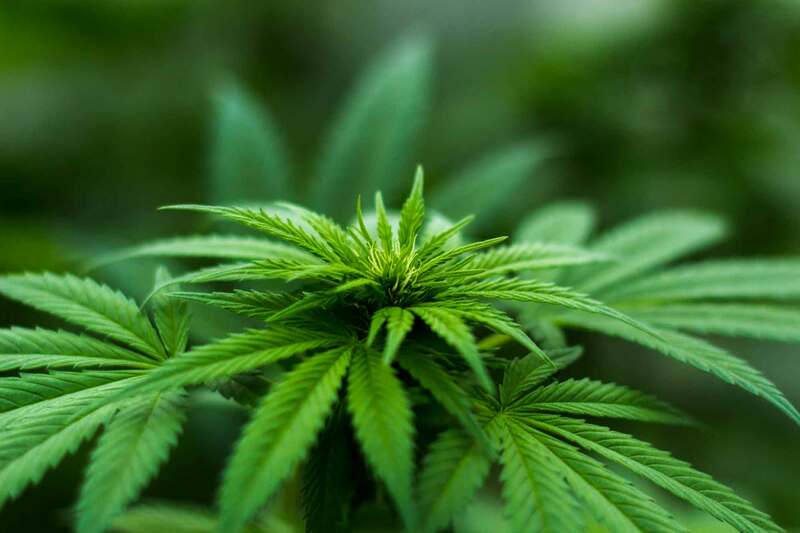 alot of growers make is when u topp on certain strains u get a bushier plant but the draw back is that is shades other part of the plant and blockes from light... .